Happy 'Murica Day'! There were interceptions, a mass brawl and Katy Perry flew. At the end of it all Captain America himself, Tom Brady, lifted the Vince Lombardi Trophy. The Super Bowl is one of the most talked about events on social media, with last night’s game mentioned more than 28 million times on Twitter alone. It is perhaps also responsible for the birth of real time marketing. Clients began to ask for their own 'Oreo moment' in 2013 in reference to the way the brand dominated the social media buzz around the game by smartly exploiting one of the defining moments. The Super Bowl was once again as famous for the $4.5m ads that air during the broadcast as for the game itself. In fact, brands that advertise during the game see 6.5 times more mentions on social media than their competitors. This year, there was nothing as defining as the Oreo blackout for brands to latch on to. Volvo and Coca-Cola did a good job despite this, through smart strategy. Volvo, instead of shelling $4.5m on an ad, created an ‘interception’, a social mechanic that encouraged interaction from consumers every time they saw a spot for another car brand – resulting in more than 15,000 engagements. The very definition of a hijack. On the ad front, both Budweiser and Snickers got the fans talking, with more than 19,000 mentions respectively for their spots. Coca-Cola tapped into a powerful insight present at every major sporting event… social media can be a negative place. Its #MakeItHappy campaign asked people to respond to negative tweets and the brand then sent ‘happy’ images made using the text of the original negative comment to the tweeter in question. Unless you get it right, these strategies represent a risk due to the huge amount of social traffic on game day. Generally, organic impressions are down 32 per cent, year over year. Brands jumping on the bandwagon normally need to pay for the privilege to get in front of an audience who interact 26 per cent more often on Super Bowl Sunday than on any other day. For those brands who can't stump up $4.5m, a smart real-time strategy represents the best way of getting involved, as Volvo has demonstrated. A successful real-time strategy requires extensive scenario planning. Who are the potential heroes and villains? Big players typically dominate the social conversation, meaning the algorithms of Facebook and Twitter will automatically elevate that content. So keeping an eye on Marshawn Lynch, Richard Sherman, Russell Wilson, Tom Brady, Rob Gronkowski and yes, Katy Perry was essential for brands. It has an endorsement with Lynch, the Seahawks' running back and most talked about player pre-game after his antics at a presser. Regardless, the brand was on the spot when Lynch went over for a TD, in addition to social conversations with the official Seahawks feed and its own typically Skittles ad. Of those that got it wrong, McDonald’s and Nationwide (US insurer) got both barrels from Super Bowl fans for their ad spots. Nationwide’s was overly depressing and McDonald’s left itself open to parody due to the nature of its creative. Mobile was, unsurprisingly, the key platform. 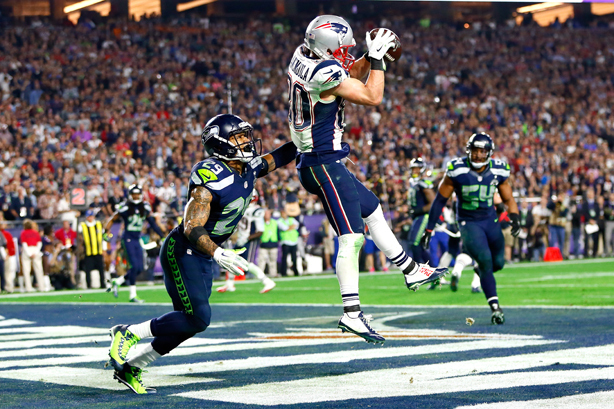 Nearly 50 per cent of visits to Super Bowl advertisers' websites on 1 February will have come from mobile devices. The majority of brands used image-led, ‘snackable’ content to appeal to second screeners. As for Katy Perry, it’s hard to top riding in on a 30-foot golden panther then flying, but I’m sure they will try next year.